On a hot and stuffy Summer's day in Beijing, a friend from Tokyo asked me: how did the Xinhai Revolution affect Tibet? This question reminded me that this year is the 100th anniversary of the Xinhai Revolution. China does not really pay much attention to this; the media is mainly busy enthusiastically promoting “Revolutionary Classics”; accompanied by the resonant sounds of “Red Songs”, all words of praise are directed at the 90th anniversary of the establishment of the Chinese Communist Party. 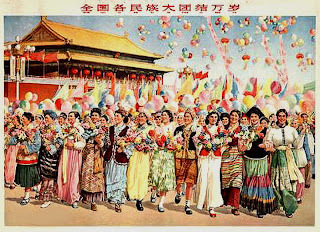 Despite the fact that China as a nation state emerged from the Manchurian Empire, no one seems to be thankful for the benefits that the overthrowing of the Manchurian rulers had brought about. The importance of the Xinhai Revolution for Tibet can be discussed from two different angles. On the one hand, it had an immediate effect. An act of symbolic significance was the beheading of the late Qing Dynasty imperial minister Zhao Erfeng who had fostered the bloody assimilation of the eastern Tibetan Kham Region by the revolting army. The army that he had sent and that had already penetrated Nyingtri County was stalemated and forced to retreat. After that, most of the Chinese army and officials surrendered. Hence, it is possible to argue that the Xinhai Revolution represented an opportunity for Tibet at the time. The 13th Dalai Lama sensed this very clearly and also almost managed to seize this opportunity. After returning from exile he took over the office of the several hundred years old Kashag (government of Tibet) and in 1913, officially declared Tibet an independent country. However, such a major announcement is really worth nothing if it does not gain recognition from the international community. At the time, the world was watched by the great western powers, or in other words, no matter whether we are dealing with independence or not, it only becomes legally effective if it has been confirmed in an international document, using Western wordings and concepts. Let us compare Tibetans, Uyghurs and Mongolians; although the Mongolians have continuously been deprived of their destiny, they nevertheless managed to establish their own independent country, and that is what counts in the end. Of course, Mongolia gained powerful support from Tsarist Russia, whereas the British upon which the Tibetans were relying either abandoned them during crucial moments or they chose to attack directly or simply stood there like spectators, watching helplessly. They even signed a Tibetan sovereignty agreement with the Manchurian Empire without any Tibetan representatives taking part. In fact, it was Tibet’s old friend, Britain, that was responsible for betraying Tibet; in 2008, the British went even further and stated that China had sovereign rights over Tibet since ancient times. On the other hand, the Xinhai Revolution had long-lasting, profound and intense impacts upon Tibet. 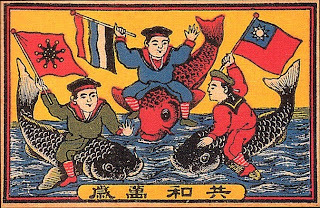 I am referring to the period after the revolution when first Yuan Shikai raised his notion of “Five Nationalities as One Family” and later, when Sun Yat-sen was the temporary President of the Republic of China and proposed his notion of the “Republic of Five Nationalities”, meaning that the “unification of lands inhabited by the Han, Manchu, Mongol, Hui and Tibetan people into one country means the unification of the Han, Manchu, Mongol, Hui and Tibetan races”. From this moment, the saying of “Tibet has always been a part of China” was born, completely ignoring the fact that Tibet and Mongolia had already declared independence and were mutually recognising their independent nations. Sun Yat-sen is not only the founding father of the Republic of China, his portrait was also exhibited on Tiananmen Square during the national celebrations of the People’s Republic of China, together with that of his counterpart Mao Zedong. This shows that regardless of whether we look at the Kuomintang or the Communist Party, they have all carried on this legacy of thought, especially the notion of the “Republic of Five Nations”. What sounds like equality, harmony and beauty, is in fact not like that at all; regardless of whether we take the “five nationalities” from back then, or the 56 minorities from today, at the end of the day, we are only talking about one single ethnic group. So, Tibetan people should always try and look far ahead. For a weak and vulnerable group of people, it is extremely important to be clear about which path to take in the future, otherwise it will be impossible to turn back.